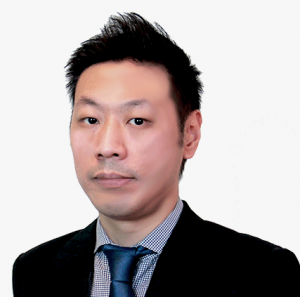 iFAST has launched a one-stop investment platform, FSMOne (www.fsmone.com), which provides Singapore investors access to funds, bonds, stocks, ETFs, insurance products and robo-advisory portfolios via one single account. Investors using its B2C platform, Fundsupermart, can now enjoy the no-frills multi-product platform at competitive pricing. We expect the enhanced seamless investor experience could drive more account openings, and potentially translate to higher AUA. Stocks and ETFs listed on SGX and HKEX can now be traded at low transactional commission rates of 0.12% for stocks and 0.08% for ETFs. Minimum charge is set at S$10 for SGX listed stocks and ETFs and HK$50 for HKEX listed stocks and ETFs. Permanent 0% sales charge for all funds and Unit Trusts. Insurance products come with a 30% to 40% commission rebate structure for all clients. Presently, major brokerages in Singapore charge between 0.20% and 0.28% commission rates and minimum charge is between S$25 and S$28. Revamped Bond Express platform: better transparency and more affordable pricing Accredited investors can now execute immediate trades on selected bonds on the Bonds Express platform via the FSMOne account. The Bonds Express sales channel is a fundamental shift away from the conventional way bond sales are handled. Accredited investors who trade bonds in the wholesale market are usually frustrated with volatile quoted prices between phone calls to bankers and agents who quote the prices. In addition, the Bond Express platform breaks up the minimum investment amount of S$250,000 in the whole sale bond market into smaller investment amount from S$5,000. Accredited investors can now create an affordably diversified portfolio of bonds and minimise risks. We expect the Bonds Express platform to further strengthen iFAST’s value proposition to investors ahead of competitors in the bonds market and potentially open up its market making capabilities in the bonds market. The platform will begin with 17 bonds, consisting of 10 wholesale bonds and 7 are retail bonds. Bonds Express charges 0.35% per trade subject to a minimum S$10 charge. Ahead of the game with robo-advisory portfolios (FSM MAPS). FSM (Fundsupermart.com) MAPS (My Assisted Portfolio Solution) offers 5 different portfolios ranging from conservative to aggressive for investors with different risk appetites and investment objectives. The robo-advisory portfolios are intended to assist investors to make timely rebalancing to their portfolios in times of volatility. This fills an important gap for investors who are unable to dedicate time to manage their portfolios and wish to find a cost effective investment solution to navigate through market volatility. The sales charges for FSM MAPS robo-advisory portfolios is 0%. Maintain “Buy” with unchanged target price of S$1.275, based on 25x PER on an estimated 5.1 cents FY17F EPS. 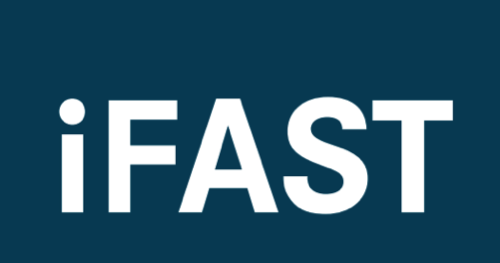 Leveraging the FSMOne account, iFAST will be able to capture more market share with the low cost strategy and improve its long tail marketing with the multi-product market place platform strategy.